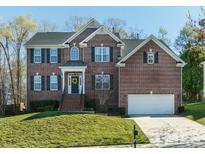 Below you can view all the homes for sale in the Dansforth subdivision located in Wake Forest North Carolina. Listings in Dansforth are updated daily from data we receive from the Raleigh multiple listing service. To learn more about any of these homes or to receive custom notifications when a new property is listed for sale in Dansforth, give us a call at 919-230-8729. Roomy master suite with tray ceiling. Bonus room. MORE! MLS#2247877. 3261. Dual vanity in master. Mint condition in pool community MLS#2247065. 983. 2.5 Baths Vaulted Family Room w/ Gas-Log Fireplace, 2nd Floor Office/room and covered Porches, 2-Car Garage, and Beautiful Back Yard. MLS#2246370. 2666. Large Master has 2 large closets and balcony. Game Room. 3rd level finished. MLS#2241662. 4498. Outdoor living is amazing w/wonderful screened porch & over-sized deck overlooking wooded area. One year Home Warranty included! MLS#2241796. 982. MasterBAw/heated floors inc closets.CustomClosets,inshower Bluetooth speaker+lite&addtl blue nitelite.NewBA bwBonus&Bedroom.Wired BnusRmSrrndSnd.Speakers in Ktchn,Living Room,porch.NatGasline for outdr grill.DuelFuel Ktchaid KtchnStve.1yroldStve,dshwsherµwv.WiFiEnabld 2NestThermostats.Wiredw/ADT.NewGar Dining Room/opener+battery backup.’15Porch+EzbrzWindow(w/hurricane clips).Plenty of BI strg,addtl strg over gar+BIcabinets,GarShelving.NewLndryRm.Wall2wall offc bkcases.4fullBA.FencedYard+AddtlLand.CommClubhse,plygrnd,pool MLS#2238721. 3770. Checks All Boxes! A Must See! MLS#2238323. 1696. Youll love the big lot size, expansive backyard, screened-in porch and community pool! MLS#2236420. 1127. Upgraded features include fresh interior paint and new carpet in select rooms. MLS#2211270. 4823.